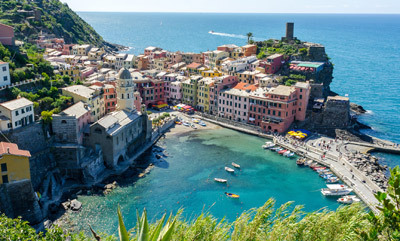 Cinque Terre is a National Park, also suitable for hiking and trekking. In this day trip, you could visit some of the five villages along this spectacular rocky coast. You will have to take a boat or a train ride to move between the villages, your driver will help you choose the best solution according to the weather conditions.